Every loan payment has two parts: interest and principal. When the loan is made, the amount of the loan plus its interest is divided into installments that become due at regular intervals, such as each month. Earlier installments are usually mostly interest payments with a minimal amount of principal, and later installments are made up of mostly principal. A balloon payment clause is a clause in a loan agreement that requires a disproportionately large final payment, known as a "balloon payment." If you need advice on an agreement in the Boston area that involves a balloon payment clause, the real estate attorneys at Pulgini & Norton can help. The balloon payment is usually due 5-10 years from the sales date. Lenders claim that these balloon payments allow borrowers to acquire loans with lower monthly costs. Borrowers whose income is expected to increase or who plan to refinance within a few years could find this appealing, but for most consumers a balloon payment clause is unwise. Consumers often underestimate the impact of the final payment on their budgets, focusing instead on the small earlier payments. Often, they are unable to pay the balloon payment when it comes due. Accordingly, they find themselves needing to refinance and must use those proceeds to pay the balloon payment, or they have to default and let the lender foreclose. The Federal Truth in Lending Act requires that a balloon payment be disclosed to a consumer. The balloon payment under federal law is an amount that is more than twice what the regular installment payments are. Creditors that fail to disclose this information can be liable for twice the amount of finance charges as well as a consumer's costs in bringing the suit. Under Massachusetts' Predatory Home Loan Practices Act, a high cost home mortgage loan cannot contain a scheduled payment that is more than twice as large as the average of the earlier payments, except to adjust the payment schedule because a borrower has seasonal or irregular income. There are various broad exceptions. For example, the prohibition does not apply to loans that have terms of seven or more years. A violation of the Predatory Home Loan Practices Act is a violation of unfair and deceptive acts provisions in the law. A borrower can get double or triple damages and equitable relief for any willful or knowing violation. They can also sue under the Act for injunctive relief or damages for violations. The court can order rescission of any home mortgage loan contract violating the Act and can bar a lender from collecting under that loan and bar a foreclosure, as well as reform the loan terms. 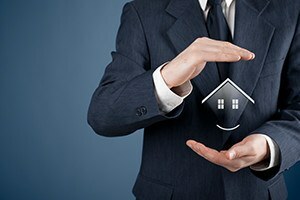 Although damages may be available, it is usually wiser to consult a real estate attorney at the outset about any agreements associated with your loan. Litigation is extremely expensive, and success is not guaranteed. Refinancing may not be the best solution given your financial condition at the time the balloon payment is due. Accordingly, it is prudent to consult an attorney who can go over your contract before you agree to anything, and discuss with you the consequences of any clause that requires you to pay a larger sum for your final payment of a loan. Even when they are not so large that they qualify as predatory lending under state or federal law, balloon payment clauses may not be good for consumers. The Boston lawyers at Pulgini & Norton can offer guidance on home purchases and the mortgages associated with them. We serve clients in many different cities in Massachusetts, including Brookline, Lowell, and New Bedford. Call us at 781-843-2200 or contact us via our online form to set up a consultation.